I enjoy riding my bikes. But I like it to do it with a porpouse. Actually, I have to admit that I find rather easy to transform the less likely thing into the perfect excuse to get on the bike and go off pedaling. This time the perfect excuse was that my best friend Juan was living in Berlin. The plan was easy: Warsaw – Berlin and then back home. But I found out an unexpected excuse to keep on wandering an extra day instead of coming back home directly. My partner was going to be working in Szczecin, a city near the border with Germany in the north of Poland, the monday following my trip to Berlin. So, I decided that I´d make of Szczeczin my final destination. My plan would still suffer a change; due to work I was forced to make the tour one day shorter. I decided then not to cycle from Warsaw but to take a train to save me the first stage. I have to admit that it is very easy to travel with your bike using the Polish railways. Depending on the train and the season it´s not always that comfortable but at least you can reach the place you want and besides its very cheap. 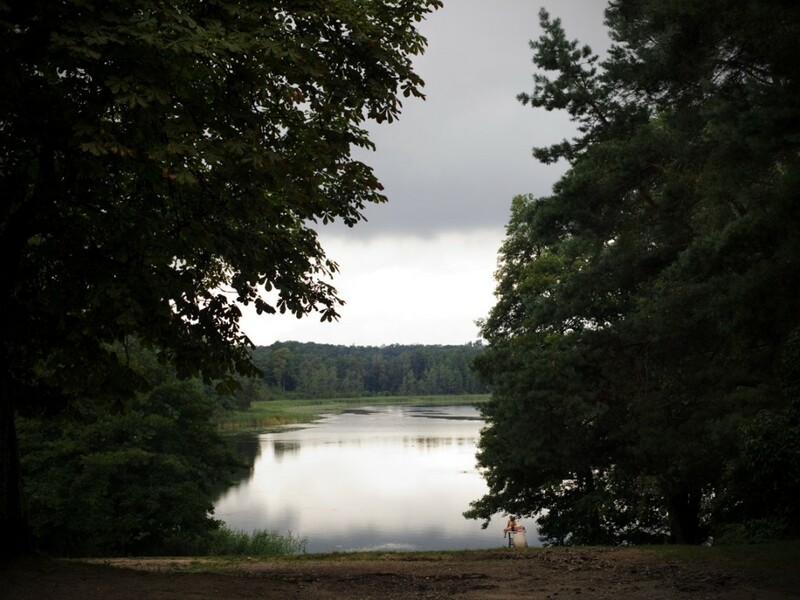 Anyway, what I was to miss was not so interesting as the area around Warsaw means mainly flat landscape and, at the same time, this allowed me to shorten the following stages by some kilometers. After a couple of hours of train I reached Swiebodzin – famous for the replica of Christ the Redeemer from Rio De Janeiro , that I missed as I started pedalling north inmediatly after getting off the train. A beautiful afternoon with some clouds, long straight kilometers of secondary roads with some mild hills. German architecture is present in this region that became part of Poland after II WW. From Kostrzyn nad Odrą, crossing the river Oder , which is on the border between Poland and Germany. 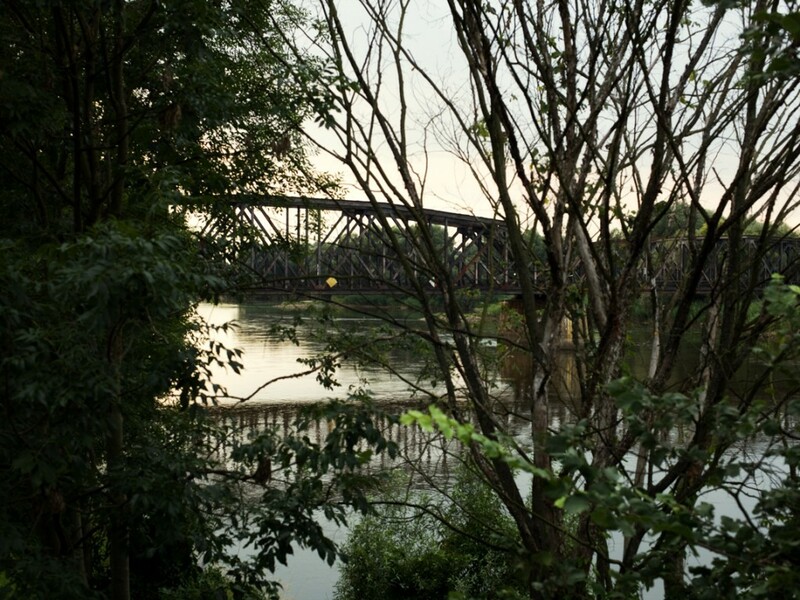 Some hundred meters north the river Oder meets the Warta. Some kilometers before Kostzryn, I joined the European bike route R1 as it runs on the road 22 when it goes beside the Ujście Warty National Park. 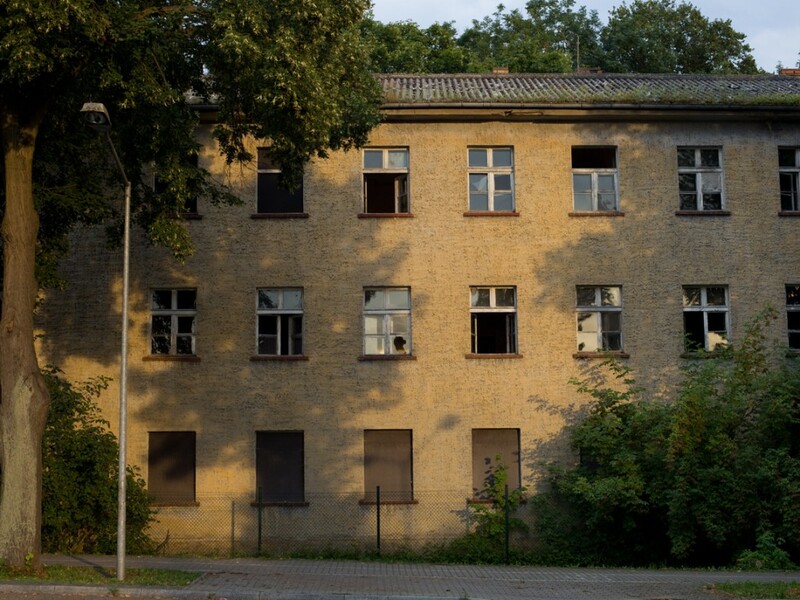 Abandoned buildings in the Polish – German border (German side). Some of these buildings were used until the 90´s by the Soviet Army, which didn’t retire from the former GDR until 1994. After German reunification, this border became more important than before as Poland was not so close geopolitically to Germany as before. And it was this way until Poland entered the EU and later the Schengen area and all the borders where eliminated. Completly clouded morning to ride along the Oder river. 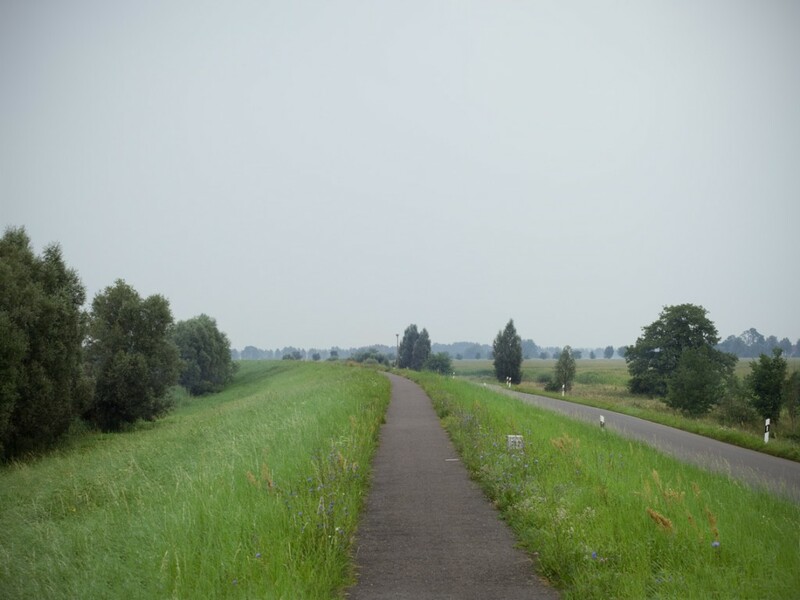 For some kilometers I ride the Oder route in the German bank of the river as I head north. It is very comfortable as it is a segregated bike lane running on the dam built to avoid the seasonal floods. There is a big contrast in how both banks of the river are used in each of its sides. In the Polish side fishermen let cars parked as close to the river as possible, while in the German side just human powered bikes are allowed to ride on the cycle path on the dam that runs along the river. On my right, as I head north, the marsh landscape and its animal are interesting enough as to forget that the cycle path is rather dull. It seems incredible that looking to my left I just see kilometers of landscape where extensive agriculture kings. 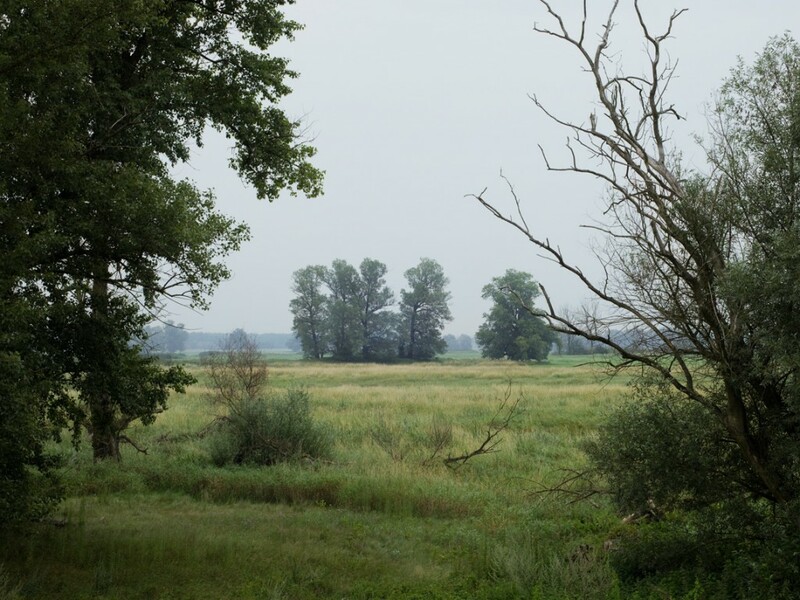 Even more surprising is that the Oder marsh is actually an artificial landscape created in 18th century after draining the area. Finally the difficulty of keeping the polder under control won over and nowadays is, depending on the season, it is flooded or used as pasture for the cattle in some areas. 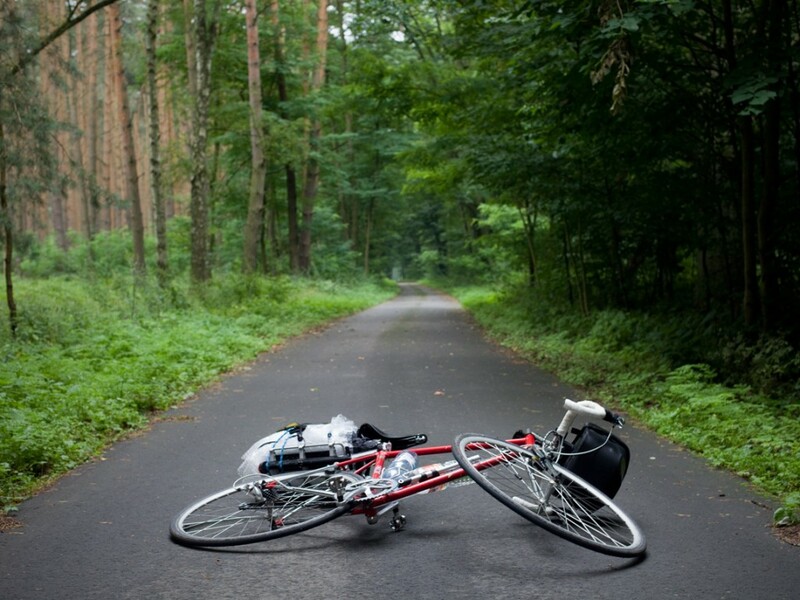 This was the first time I was doing a multiday ride on my road bike. It is a 17 y.o. Spanish Zeus. I tried to go as light as possible, carrying my 1 person tent and my SLR camera, the last adding some extraweight. It rained. First day it was for about one hour. I was lucky enough to be at the top of a hill 2 kilometers after a small village where I had seen a covered bus stop. Second day it was raining during a couple of hours. I had the good luck to find a covered bus stop after some minutes of riding under the rain. What was not so great is that the stop was just in front of a house where someone had died and they were taking out the coffin as I was changing my wet clothes. After some hours I had to start riding again eventhough it still rained. 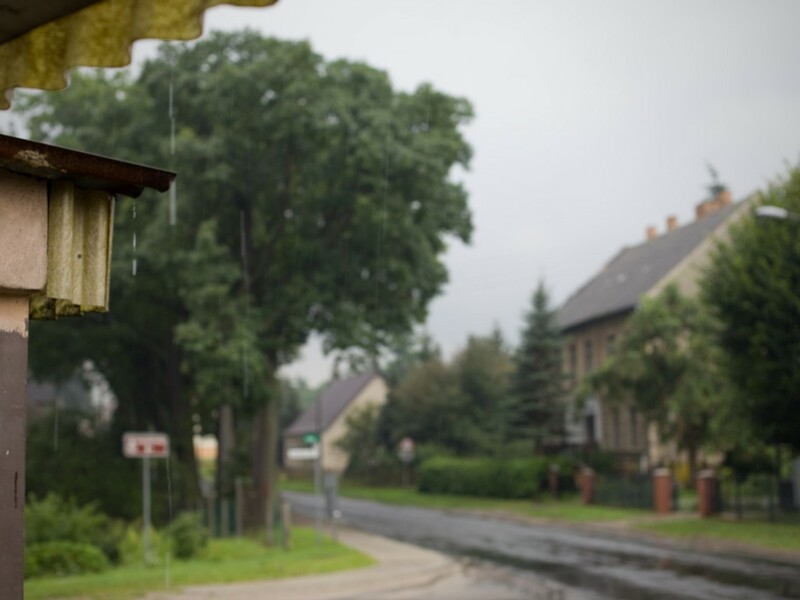 I know that summer in Central Europe is the rainy season, but I cannot get used to it and I don´t like riding when it rains. Can you believe that this was a bike lane through the forest? I guess that it is used by people to move from one village to the other. In my experience, for asphalt riders, Germany is a paradise: lots of segregated and high quality lanes. There are three things I cannot avoid not to photograph when my camera is on my hands: a foggy landscape, a bike through the forest and a lake, specially if it has a dock. To get out of Berlin I decide to take a train as I already know the city and don´t feel like riding and smelling car fumes as I did to enter to the city center. As I get off the train, winding roads cut the mildly hilly landscape where forests and cereal plantations alternate. By the way, Deutsche Bahn, that´s how the German railways are called, is a really efficient company. You have a lot of possibilities to travel with your bike on the German trains, although there are not always that much places available for the bikes. Best check in advance and buy your ticket and your bike´s. The only regretable thing is that you can´t buy the bike ticket in the company website. 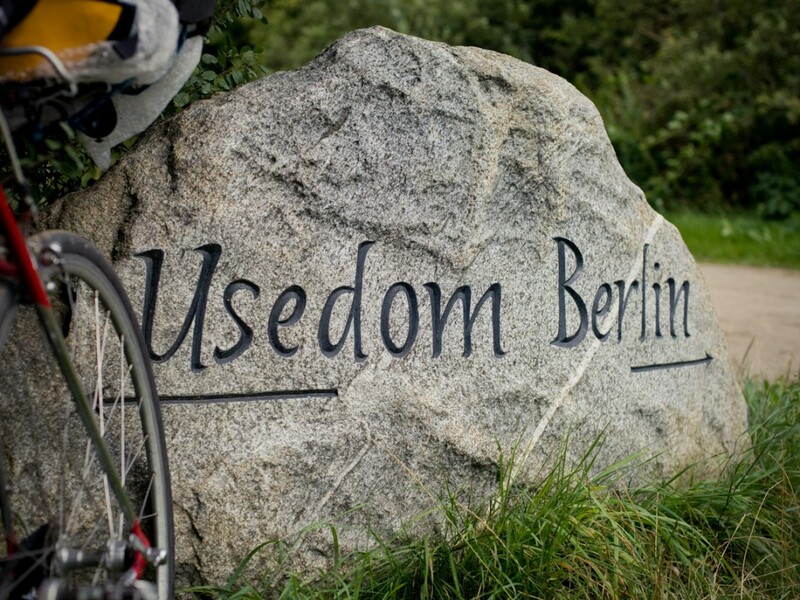 This time I´m riding north on the Berlin-Usedom route. It is completly mapped, irregularly signed, at least for me, and with much less segregated lanes than other routes and not all of it asphalted. 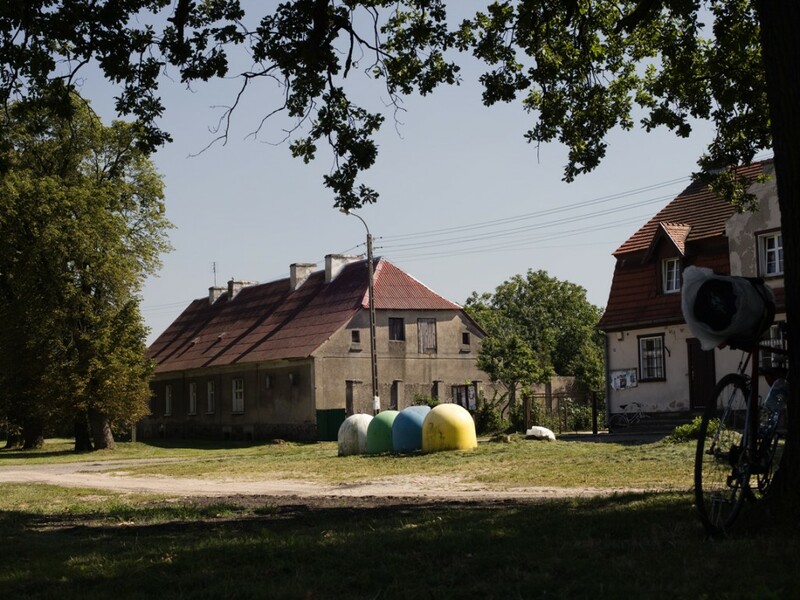 Neither of these poses a problem to ride this route: the landscape is changing, slightly rolling, and it crosses lots of rural villages and cities with history to read on their buildings. The motored traffic almost non-existent. 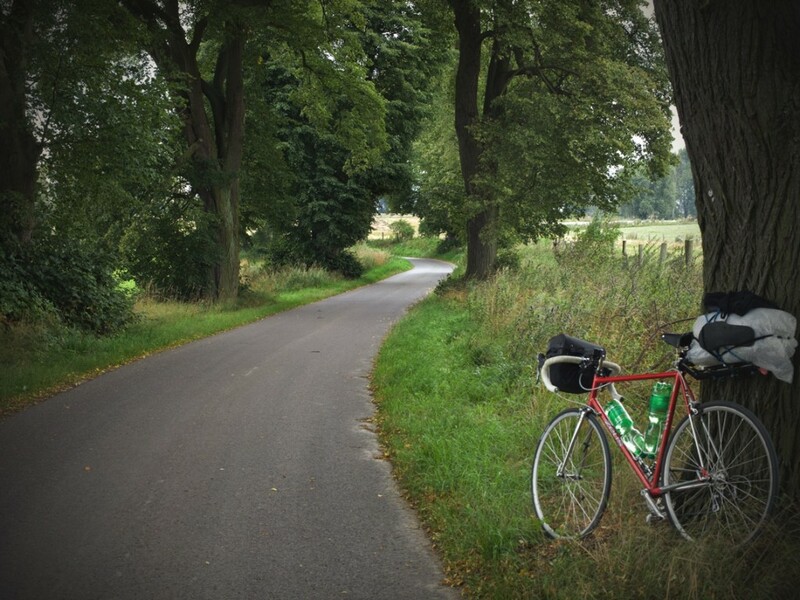 The bike route from Berlin to Usedom, in the German coast, goes through some rural dirt roads which history is easy to feel cycling the cobbled roads with my 25c tyres. 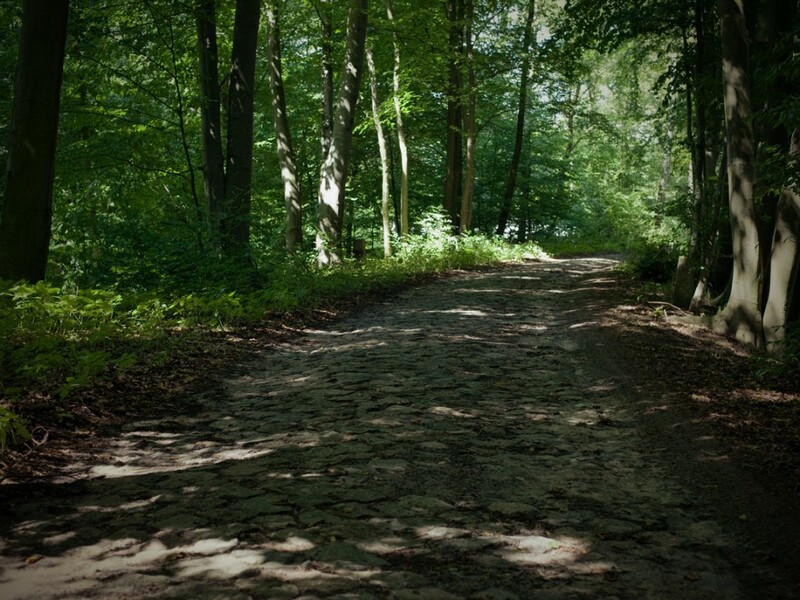 As I pedal one of those cobbled sectors I think of the Roman roads in southern Europe. 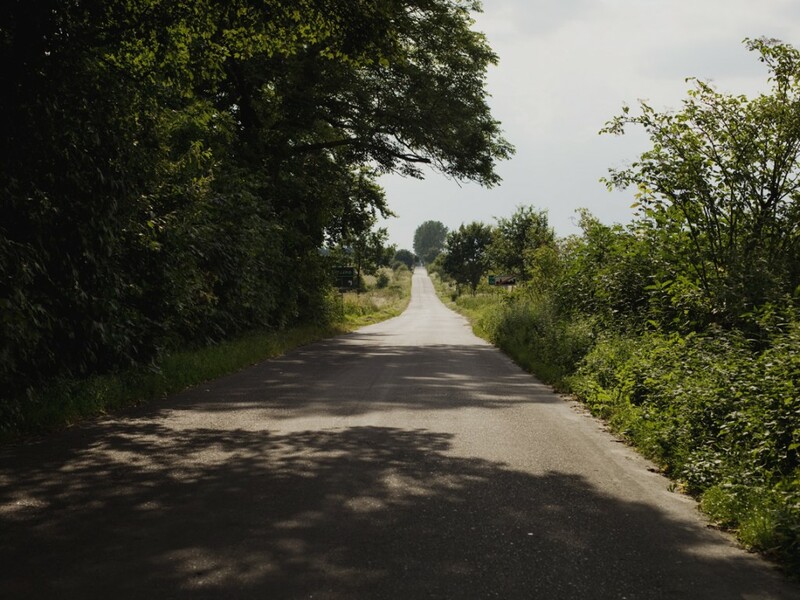 The idea of riding a road which construction dates from “a couple” of centuries ago adds even more interest to the ride. As I pedal one of those cobbled sectors crossing a forest I overtake easily two girls riding their mtb with panniers. 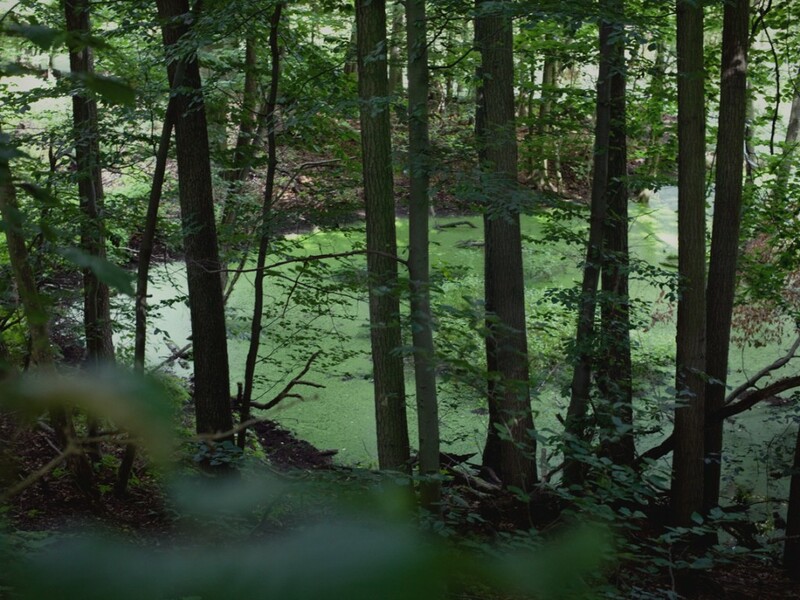 I stop to take a pictures to try to reflect the magic of the green pond that I see now from above as the road goes uphill inside a new patch of forest. 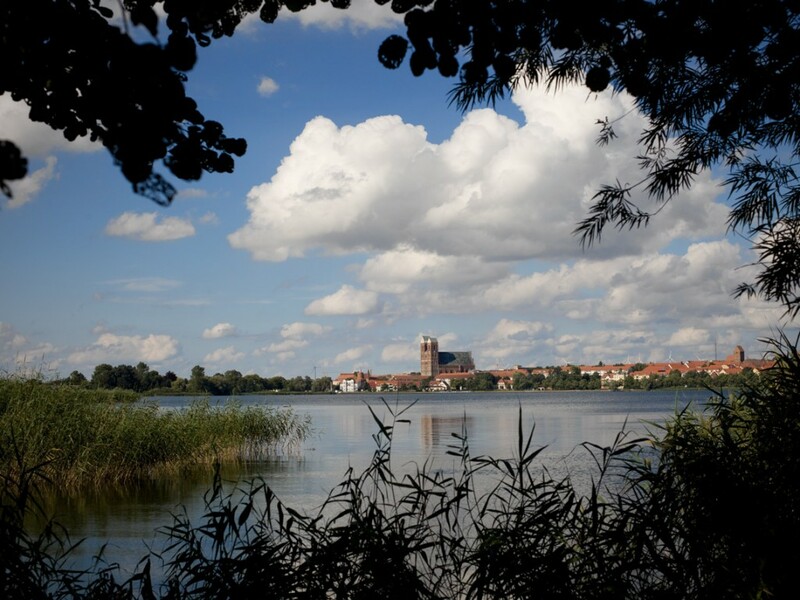 As I ride the eastern side of the impressive Unteruckersee lake, which is not even the biggest lake of the region, the cityscape of Prenzalu appears. Trying to find my way among the renovation works in the streets of the city still leaves me sometime to observe the contrast between the older building and the socialist-style blocks remembering that a little more than 20 years ago this area belonged to the Eastern Block. From Prenzlau my personal fight against the wind starts as I head east to Poland. In some kilometers I drift away from any bike route and I have to share the road with the traffic. Something tells me I´m approaching Poland: cars passing far too close and way too fast. The phantom border control lays on a hill from which I enter into the world of the millions colour boards and printed comercials trying to sale all kind of stuff in all posible colours. I feel I´m back home again. 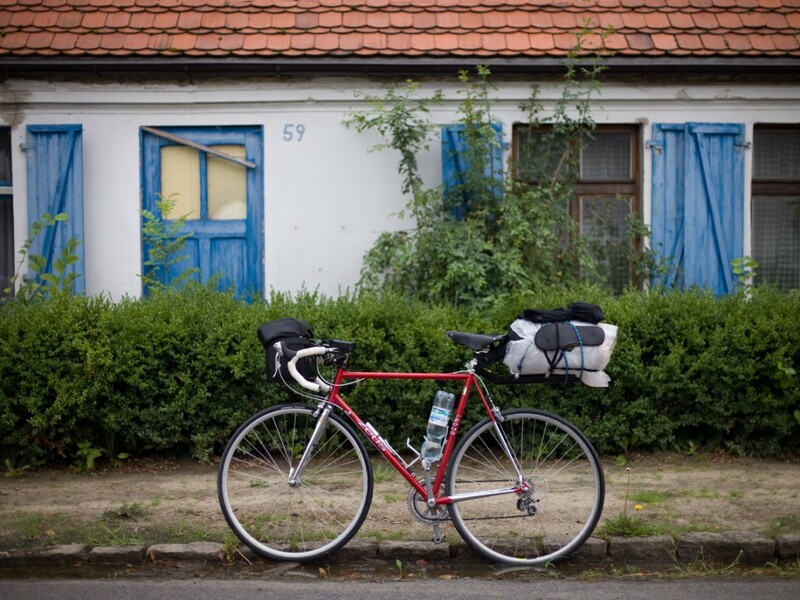 Posted in 3 days, Bikepacking, Germany, Light, Poland, Road bike on May 30, 2013 by Luis Belmonte.